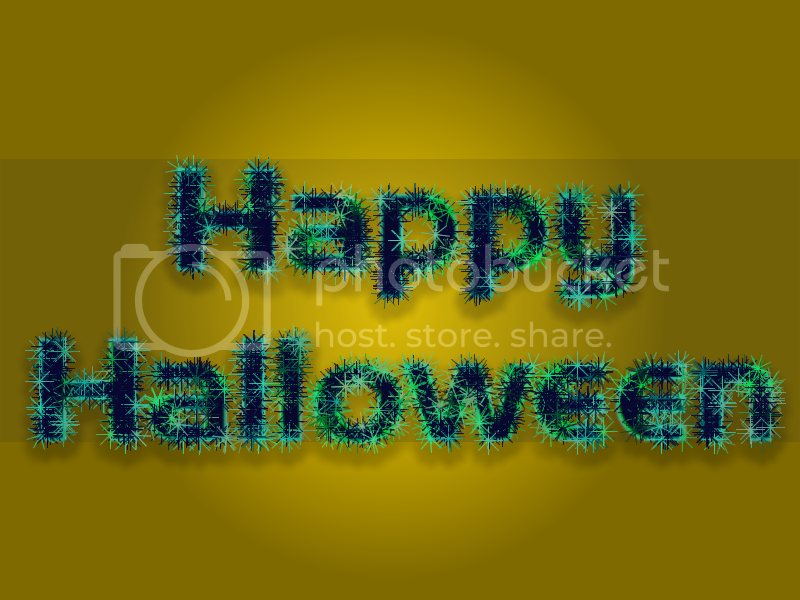 By Red ochre, October 31, 2013 in Plugins - Publishing ONLY! 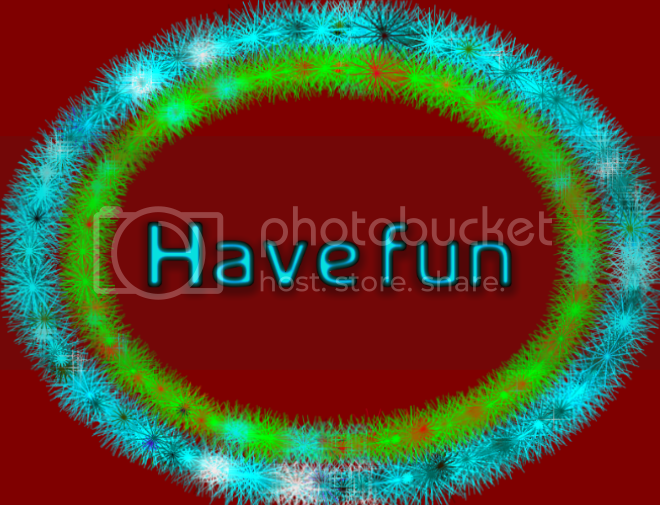 Useful for artistic effects on photos, unusual text effects, textures and even adding highlight stars to an image. 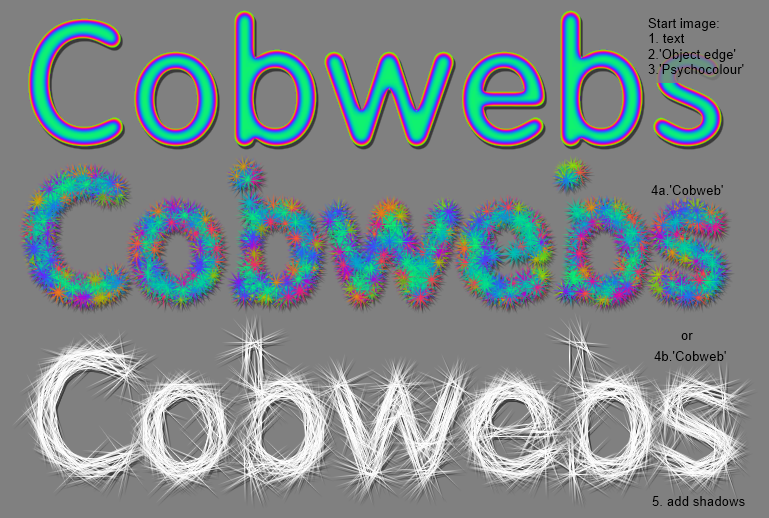 Found under: Effects/Artistic/Cobweb Dll name = Cobweb. There are some 'mini tutorials' and examples below. 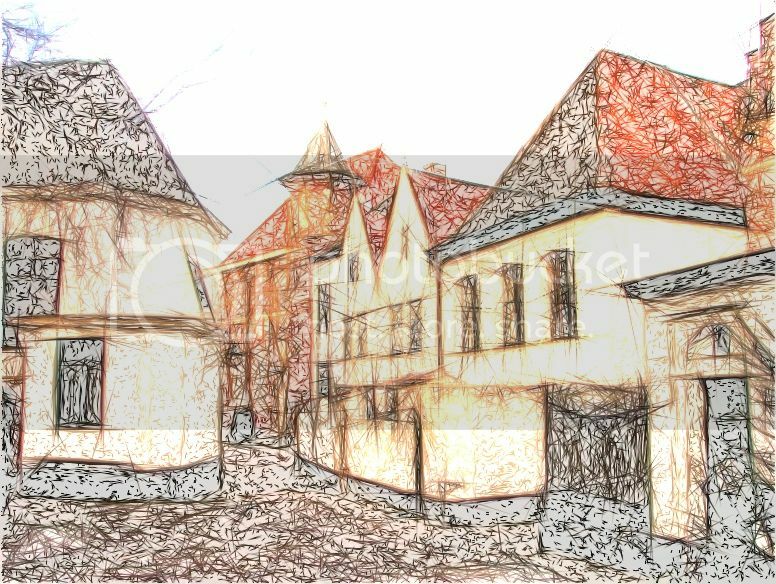 Generally it is best applied to an image with smooth tone gradients. In other words try running a small Gaussian blur on the start image first. Interesting textures are possible, try using after 'clouds' or DavidF's 'cell texture' plugin. Since the simple tone (B + G + R) for black is zero and the tone for a transparent colour is also zero ((eg. 255 + 255 + 255) * 0). You won't get much of a result from black text on a transparent layer. Try black text on a solid white layer and apply a blur first. 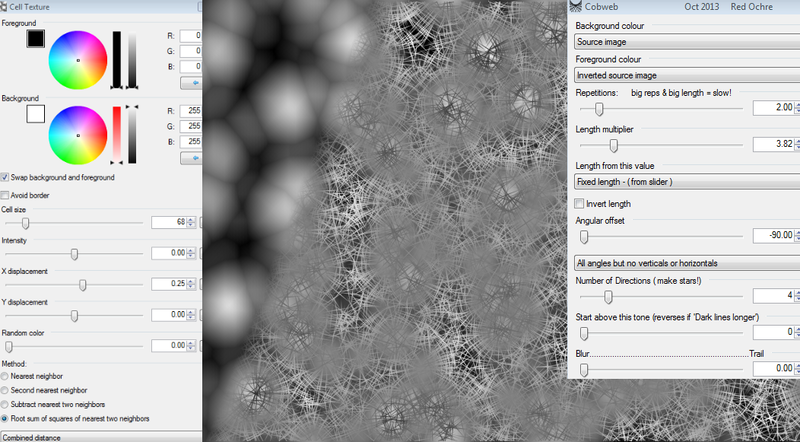 Like 'FurBlur' it can be slow if 'Reps' and 'Length' are set too high. Have fun and please post any interesting results and tips back here! This is amazing! Great idea. Thank you! Cheers Red,looks like another cracker with loads of potential.Downloading to play with now. Nice share! Oooh. 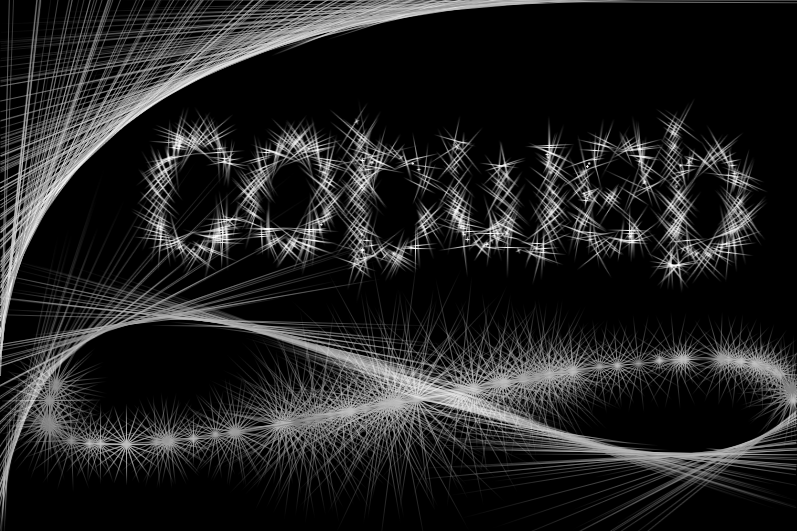 It looks like PS's Fractalius! ... and don't let the vampires bite tonight! & EER - you just posted. I've been messing around with this one for a while - kind of trying to get close to Fractalius, but decided to keep it simple. I think it works on a similar principle but adding blurs, blend modes etc would have been cumbersome. Plus, I have some ideas for other plugins I'd like to explore. 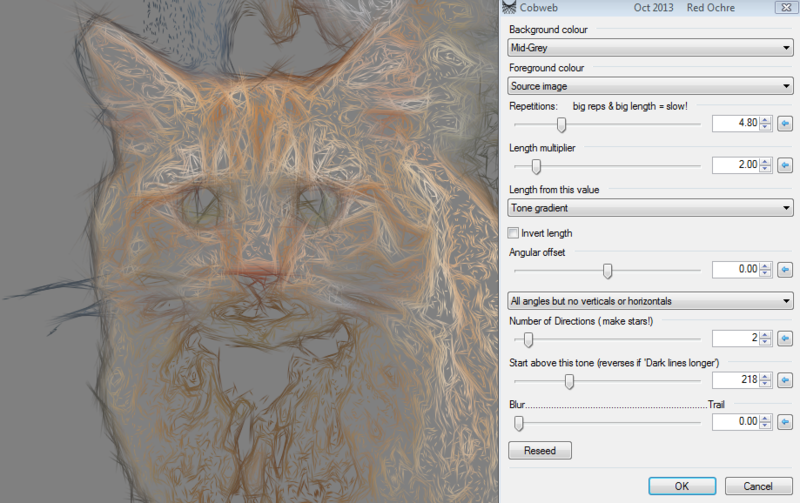 Tip: Try running it after Madjik's 'roses' plugin - great fun! & NN - I was just about to press post when I saw your reply! Looks like you've mastered this one already - thanks for posting. One of my very first ideas. I had to try it out. 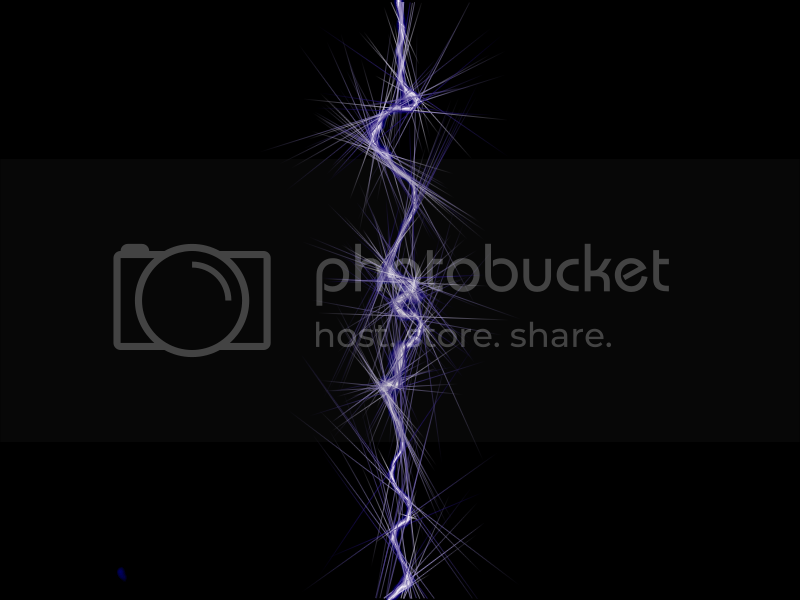 EER - The lightning image works well - thanks for posting! doverdemon77 - esoteric movie tastes! desertwise - it works well with psychocolour, have fun experimenting and thanks for saying thanks. Helen - good result, thanks for posting. Looks good TR - thanks for posting. Glad you are enjoying the plugin and thanks for posting the image. Cool MM! A colourful holiday wreath with bud lights - sweeet! Nice turn out and use of the plugins. 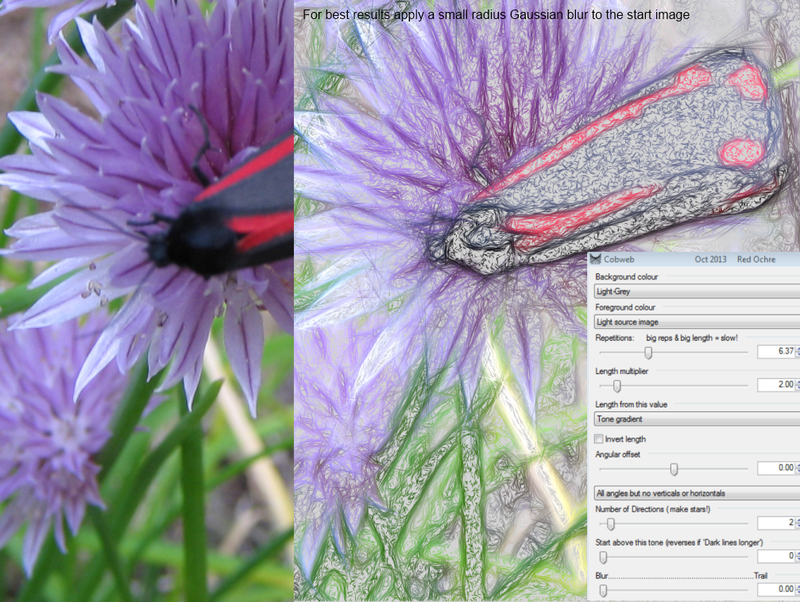 Good images - I'm glad you are exploring what those two plugins can do! - thanks for posting.